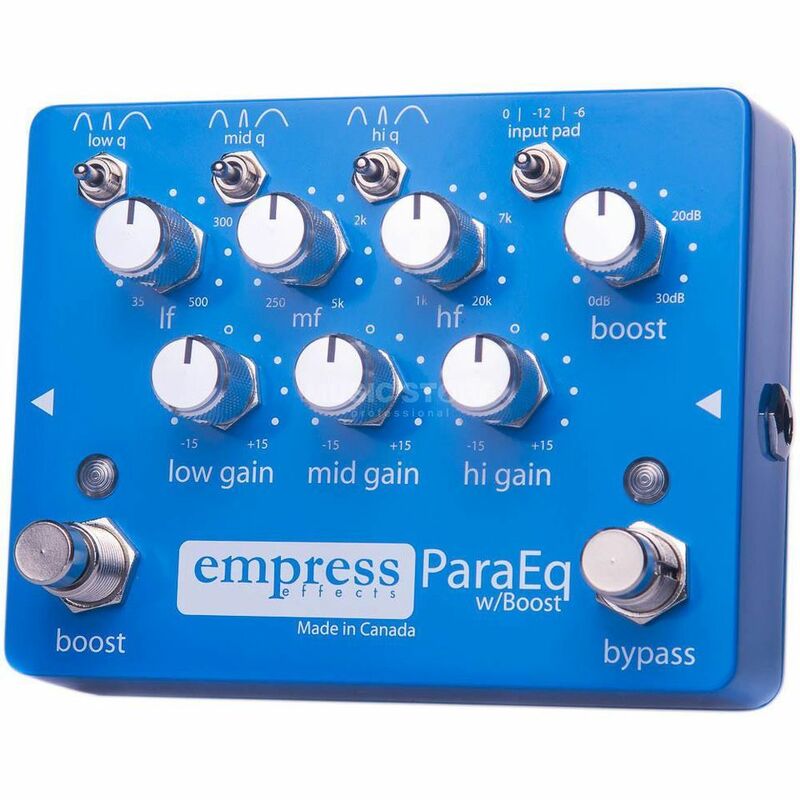 Empress Effects ParaEQ is a parametric 3-band equalizer that gives guitarists a great tool for shaping their sound. Accordingly, three frequency bands are available with bass, midrange and treble, each offering up to 15 dB boost or cut at a selectable center frequency and three q-factors. In addition, a booster can be switched on to increase the output signal by up to 30 dB.